With Christmas day over, you may have a selection of cooked and roast vegetables amongst your leftovers. Don't let them go to waste. Monica has some tasty ideas for them, including a recipe for roast potato, lentil and miso bake. If you're like many serving up a traditional holiday feast, then you've probably got roast vegetables on the agenda. You may also be anticipating the litany of leftovers that will follow your feast, including said vegetables which could easily get forgotten if you limit your leftover mojo to turkey sandwiches and more turkey sandwiches. Please do not let your roast vegetables to go waste! There are so many delicious things you can do with them. Roast vegetable soup is perhaps the easiest option - simply blitz leftover roast vegetables with stock and you're done. You could also make a root vegetable Bubble and squeak, spiced up with garam masala and chilli. 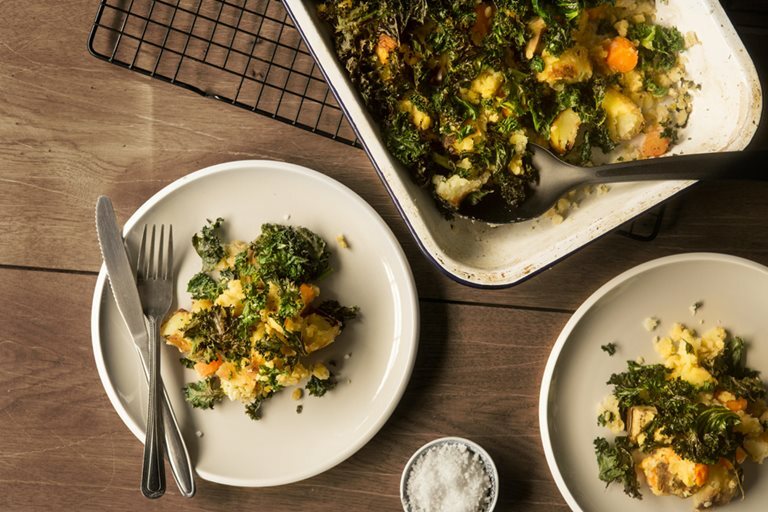 Or try working your roast vegetables into a shepherd's pie (also a great use for leftover mashed potatoes) or pastry-topped pot pie. My favourite thing to do with leftover roast vegetables is to break out the miso and make this Lentil Cabbage Miso Bake, inspired by The Organic Farm Shop who serves a similar dish in their stellar vegetarian cafe. Whenever I make roast vegetables, I always make extra so I can make this dish (which I possibly enjoy more than the roast vegetables themselves). It's not a strict dish, with the simple keys being red lentils, miso and leftover roast vegetables. 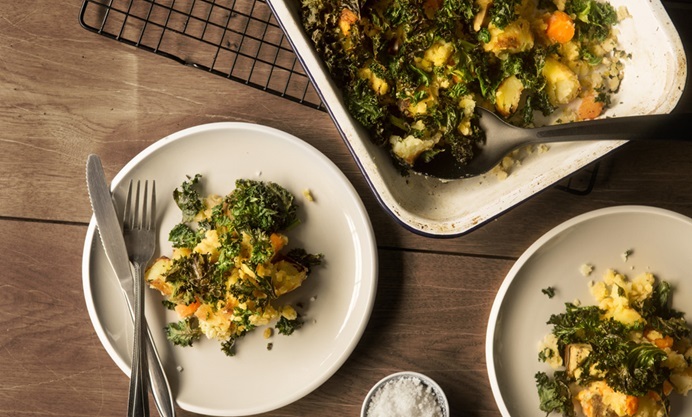 The lot gets mixed up and baked into a delicious and nourishing casserole, topped with cabbage that gets all nice and crispy in the oven.